If the changing leaves and Pumpkin Spice Lattes are any indication: it’s fall in New York. We’re celebrating the season by offering a daily duo of incredible deals which you can only get on TodayTix. Each day at 9:00am, we’ll announce exclusive prices for two shows. 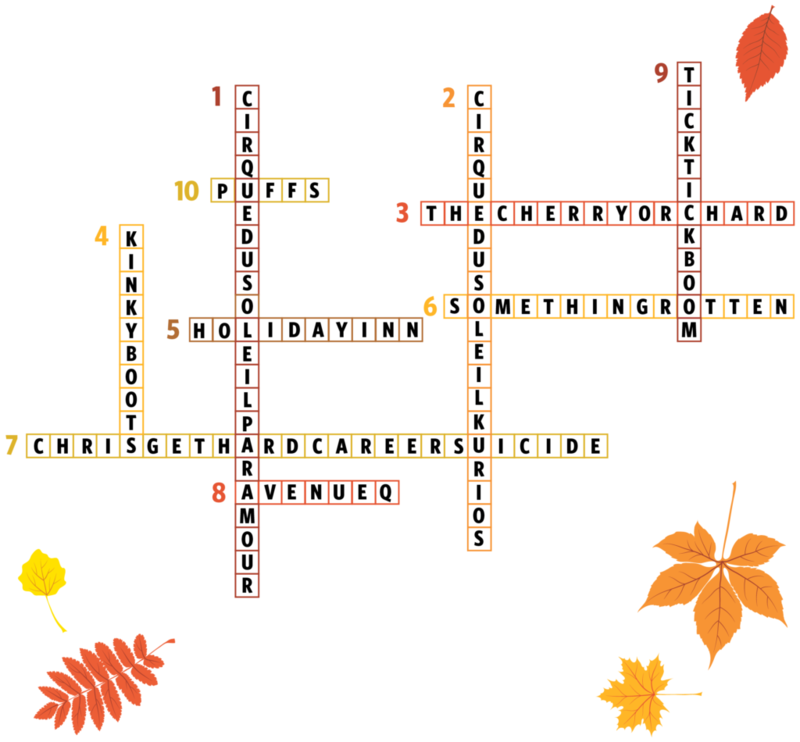 Check your email every morning to find out which shows are available each day (or if you can’t wait, find out now by solving our puzzle below) to find out which shows will be available this week. 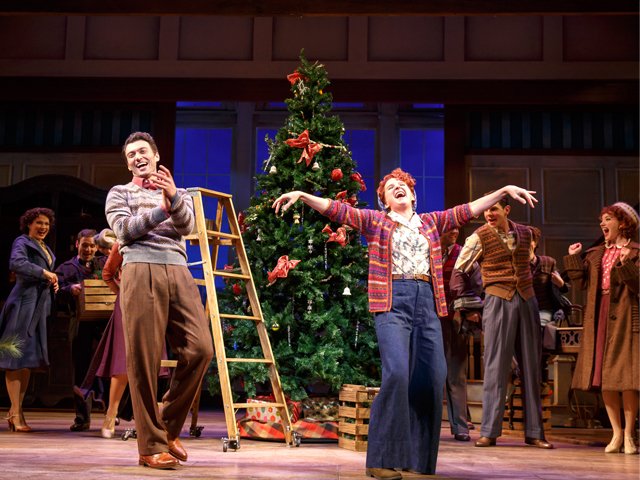 Roundabout Theatre Company proudly presents the Broadway premiere of HOLIDAY INN, THE NEW IRVING BERLIN MUSICAL, the dazzling new musical inspired by the Academy Award®-winning film. This joyous musical features thrilling dance numbers, laugh-out-loud comedy and a parade of hit Irving Berlin songs, including “Blue Skies,” “Easter Parade,” “Cheek to Cheek,” “Shaking the Blues Away” and more. This heartwarming classic with a contemporary sparkle will have you falling in love one beloved tune at a time. Save up to 70% on HOLIDAY INN, THE NEW IRVING BERLIN MUSICAL and get tickets from $45. 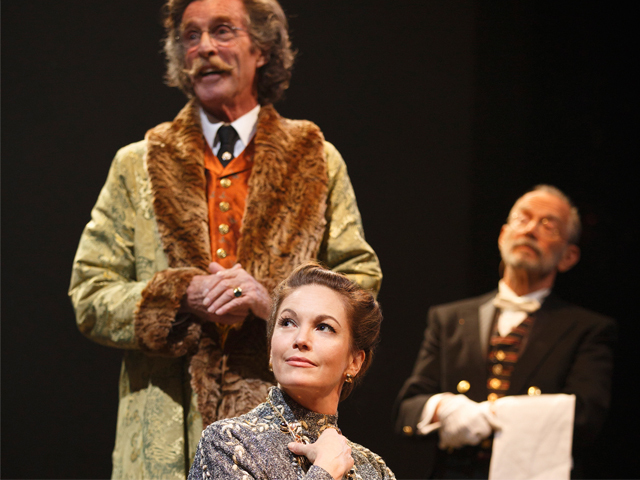 Save up to 70% on THE CHERRY ORCHARD and get tickets from $45. Did you guess them all? Find out the answers to all our October Fest deals below! 3. The lead has been on Broadway in this show two times playing different roles each time. 5. A place to rest your head. 6. When life gives you eggs, make an omelette. 7. From the producer of HBO’s GIRLS. 2. Occurs in the opposite of a small bottom. 4. Might make you want to buy some new kicks.